A signature of overindulgence, the Paco Rabanne Pure XS Eau de Toilette is a oriental fragrance for men infused with spicy woody facets. 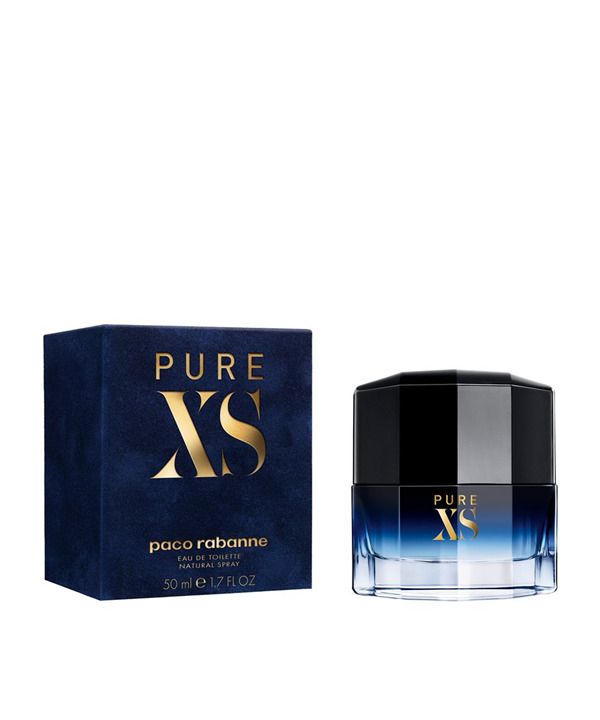 Made for a man who puts luxury first, his lavish nature and need for excess is well-rooted in the Pure XS Eau de Toilette. Fresh spices simmer in the top notes, firing through the sticky sweetness of green sap as they warm. In the core, sharp slices of ginger roll in bitter cinnamon dust, forcing the rich and creamy base of vanilla and myrrh to dominate the base of this sensual, signature for men.